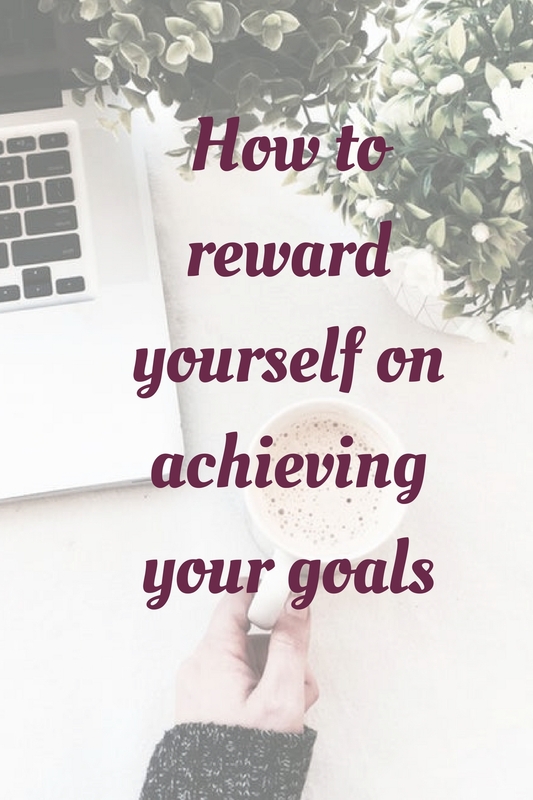 Reward is a cause for motivation.When you accomplish small goals ,it is important to reward yourself.Small accomplishments adds up to big dreams.So are the small rewards.It could be anything like having a small cup of coffee at your favorite place.Going for a short vacation. It could be anything which you have put off till you accomplish your goals. How exciting it could be to go to your favorite coffee shop to have that tasty cup of coffee.? Treat yourself with that.Because you stopped going there. It was your small goal which was more important. And now you are one step closer to your dream. Before embarking on the second goal , treat yourself. 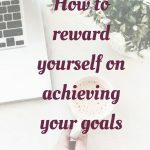 When we are busy working on our goals, we often neglect our bodies.Going to spa seems totally waste of time.But now you have completed your goal and your mind is little bit free.For sometime you will bask in the glory of accomplishment. It is time to pamper yourself little bit.This will freshen up your body as well as your mind.Also it will help tp take your mind off from busy stuff. Going for vacation may be bit hard in your pocket and time. But you can manage to go on shorter local trip Most of the cities have places like gardens, museums, or lakes. You can go there and spend your day with loved oe or alone. You can sit in a garden doing nothing. Just sit with yourself.Watch your surroundings.You will start feeling trees, birds around you.This will give you some time to introspect and clearing your thoughts. Take home cooked food with you or you can buy something. Oh ok it could cost a lot. But don’t worry we all have somethings which we always wanted to buy but could not buy because we never had time.Or simply we thought that we wanted this but it is not necessary.Buy yourself that gift and pamper yourself. It could be anything like a handbag or a wallet. Any dress or beautiful shoes.Just reward yourself on your achievement. You have worked hard and you need to be pampered. What about going for a movie feels like? Interesting right. Go grab the ticket and go for watching a movie. Be in the theater and forget everything else.Feel the movie , watch the movie and enjoy pop-corns. When you will come out from theater, you will have a sense of achievement and enthusiasm for starting your new goals. We all love shopping.But this one is for ladies I think.I am not generalizing , men can go shopping happily.But whatever we hear is that ladies shop more. But any way, anybody can go shopping and spend some time in shopping center without guilt. If you don’t want to buy anything, just go window shopping.The point is doing those things which are not necessary but important to do . And you feel them waste of money and time. Accomplishing tasks is very important. Wherever we work, we have deadlines, we have tight budgets, very less time to complete a task.In spite of all the problems, we deliver what is desired from us.Be it job or your own business. It becomes necessary to take time off and enjoy the life.Enjoying the life is as important as working for success. Ultimately we want success for life not life for success. Enjoy and be ready for your next goal.